While it has been pretty clear the past couple of weeks the work that Google has put into Google Assistant on phones, that isn’t the only place they have been improving things. Wear OS by Google has also been getting a lot of updates lately around Assistant and other features which has significantly improved the overall usefulness of Assistant on your wrist. Just before Google I/O, Wear OS got a big update that, amongst other things, brought support for Actions in Google Assistant. 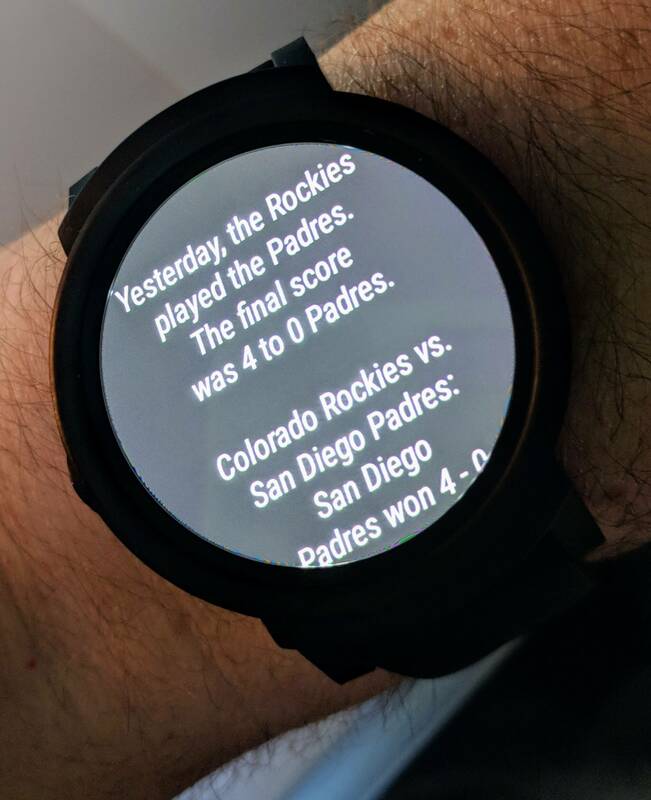 As part of that, you can now ask Assistant on your watch to give you a game or score update and have the information displayed on your screen in an easy-to-view format as well as an audio update on the game. To be far, you could ask Assistant prior to this update for scores but you only got a long audio string of the information. There was no visual information and it was a pretty poor user experience. Now it is much better and actually useful. Just as a reminder that in order to have Assistant on your watch, it has to be running Wear OS 2.0 or greater. If you have Assistant on your watch, give it a try. I tried it with baseball, English Premier League football (soccer) and MLS and it worked great on my Ticwatch.